We are already into the Halloween thing with banana zombies and ghosts helping create that fun and spooky atmosphere! Lots of great ideas for healthy Halloween treats in the Foodie-Phile segment (hence banana zombies in the studio – and they did taste AWESOME! does that mean I will become a banana zombie now?). GD Mizar did a great Halloween DIY segment, telling us how to make Mr. Bones and Jug-O-Lanterns out of upcycled plastic milk jugs. I had an opportunity to interview Amara Wagner of Amara Wellness who shared some excellent ideas on how to celebrate a healthier and greener Halloween with kids. But we diverted for an inspiring Green Dude segment with Jonathan Porritt, to talk about a sustainable future. Jonathan Porritt is the founder of Forum for the Future, a wonderful UK-based organization dedicated to finding solutions to our environmental and social challenges, while seeing a hopeful vision for a sustainable and healthy future. He is also the author of the book, The World We Made. We were so fortunate to be able to grab a few minutes with Mr. Porritt before he headed back to the UK. He discussed the optimism and the power of technology and how to be realistic about it in today’s world. 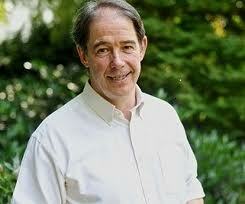 Over the last 40 years, Jonathon Porritt has been one of the world’s leading environmentalists. In The World We Made, he sets out to counter the doom and gloom that surrounds today’s debates about sustainability. Instead of portraying the future as a polluted, over-populated hell-hole, he shows it as a place where we’d all love to live. Exciting, aspirational, high-tech, fair and hopeful. Listen to this encouraging interview with Jonathan Porritt . . .
Halloween is meant to be a spooky (yet all in good fun) holiday . . . but that doesn’t mean that your healthy Halloween treats have to make all the trick-or-treaters run away from the creepy health-nut up the street. There are plenty of alternatives handing out artificial flavors, artificial sweeteners, and GMO-laden treats. I did some research and found some fun, clever and healthy Halloween goodies that are easy and delicious. We had a good time making banana ghosts. It was all fun and games till one banana ghost went all zombie and scared the others! Please read my post for more great ideas for healthier Halloween treats. 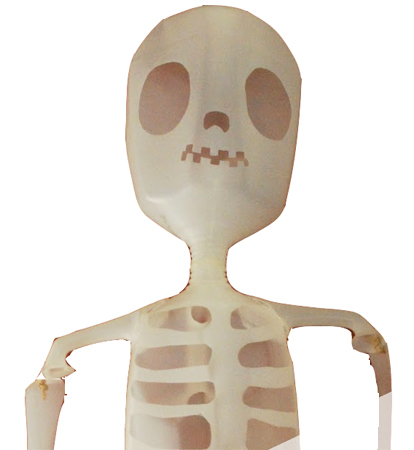 GD Mizar has a couple of great ideas for upcycling old plastic milk jugs to make a scary skeleton and some Jug-O-Lanterns. She told a funny story about her milk jug skeleton (named Mr. Bones) that terrorized her daughter’s friend when they were 6 years old. See GD Mizar’s easy Jug-O-Lantern tutorial here Listen to this fun podcast about making Mr. Bones & Jug-O-Lanterns from old plastic milk jugs. 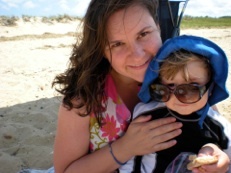 Amara Wagner is the founder of Amara Wellness and as a health coach and mother she offered us some wonderful tips to help create a healthy and fun Halloween. 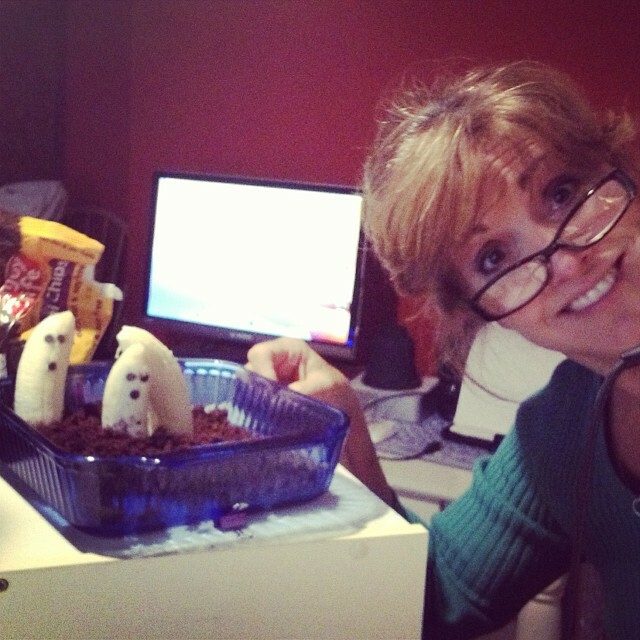 Listen to the podcast of the whole show to hear GD Meg’s talk with Amara Wagner on having a healthy Halloween . . . The Green Divas The Green Divas share low-stress ways to live a deeper shade of green through a weekly radio show, podcasts, videos and blog posts. Working with talented partners and credible sources like myEARTH360 the Green Divas produce content on a variety of topics relating to a healthy green lifestyle. Visit The Green Divas website to learn more, and check out The Green Divas on Facebook, Google+ and Twitter too!